America is in civic chaos, its politics rife with conspiracy theories and false information. Nationalism and authoritarianism are on the rise, while scientists, universities, and news organizations are viewed with increasing mistrust. Its citizens reject scientific evidence on climate change and vaccinations while embracing myths of impending apocalypse. And then there is Donald Trump, a presidential candidate who won the support of millions of conservative Christians despite having no moral or political convictions. What is going on? The answer, according to J. Eric Oliver and Thomas J. Wood, can be found in the most important force shaping American politics today: human intuition. Much of what seems to be irrational in American politics arises from the growing divide in how its citizens make sense of the world. On one side are rationalists. They use science and reason to understand reality. On the other side are intuitionists. They rely on gut feelings and instincts as their guide to the world. Intuitionists believe in ghosts and End Times prophecies. They embrace conspiracy theories, disbelieve experts, and distrust the media. They are stridently nationalistic and deeply authoritarian in their outlook. And they are the most enthusiastic supporters of Donald Trump. The primary reason why Trump captured the presidency was that he spoke about politics in a way that resonated with how Intuitionists perceive the world. The Intuitionist divide has also become a threat to the American way of life. A generation ago, intuitionists were dispersed across the political spectrum, when most Americans believed in both God and science. Today, intuitionism is ideologically tilted toward the political right. Modern conservatism has become an Intuitionist movement, defined by conspiracy theories, strident nationalism, and hostility to basic civic norms. 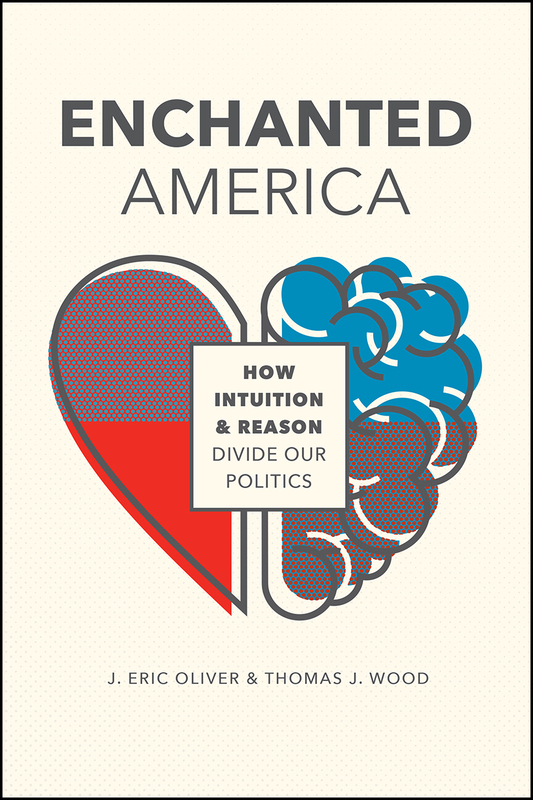 Enchanted America is a clarion call to rationalists of all political persuasions to reach beyond the minority and speak to intuitionists in a way they understand. The values and principles that define American democracy are at stake. Chapter 1 If There’s No Monster in the Closet, Then Why Am I Afraid? Chapter 3 Who Is an Intuitionist? "This may well be the single most important book on public opinion in the last quarter century. The authors challenge our fundamental understanding of how individuals form opinions and engage in politics. It will surely stimulate debates for a generation, while at the same time dramatically enhancing what we know about citizens."